Analysis: Batson joined the Titans as an undrafted free agent. Though his production was small, the fact that he made the roster for an extended period suggests he's got a chance to earn a larger role in the future. He'll look to earn more than a fringe receiver assignment in 2019. Analysis: Batson recorded at least one catch for his sixth consecutive game, though he has seen extremely limited volume in that span. 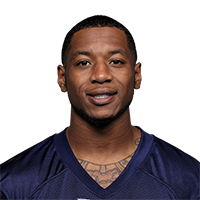 Given the return of Taywan Taylor and the extensive involvement of Titans' tight ends in the passing attack, that's unlikely to change at any point this season. Analysis: The continued absence of Taywan Taylor (foot) kept regular snaps open for Batson, but the slot man once again failed to draw many looks. He's recorded at least one or two catches in five consecutive games but has yet to find the end zone and hasn't exceeded 36 yards in any contest. Analysis: Batson filled the role of third receiver in place of the injured Taywan Taylor (foot), though his contributions were limited. 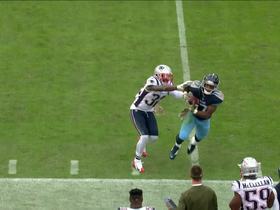 His lone target was from Marcus Mariota, which came midway through the second quarter. Playing in a low-volume offense, Batson is unlikely to see enough targets to be a viable fantasy option even if Taylor remains sidelined. Analysis: With Taywan Taylor sidelined, Batson matched the target totals of both Tajae Sharpe and Jonnu Smith. While his small frame and lack of college production make him a long shot to consistently produce, he does boast impressive athleticism. Though the Titans' offense has shown improvement across the last two weeks, they remain a low-volume passing offense, making his odds even longer to become a meaningful fantasy contributor this season. Batson caught two of his three targets for 21 yards in Monday's 28-14 win over the Cowboys. 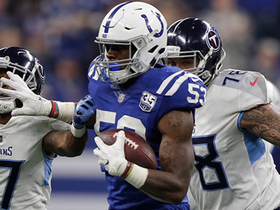 Analysis: Batson appeared in the third game of his rookie campaign, recording the first multi-catch effort of his career. He wasn't a prolific producer in college, but does boast an 88th percentile SPARQ-x score. While he's not a household name, his exceptional athleticism and the lack of quality receiving options in Tennessee make him a name to monitor in deeper dynasty leagues. Tennessee Titans wide receiver Cameron Batson is tackled in the end zone by Jacksonville Jaguars line backer Leon Jacobs.